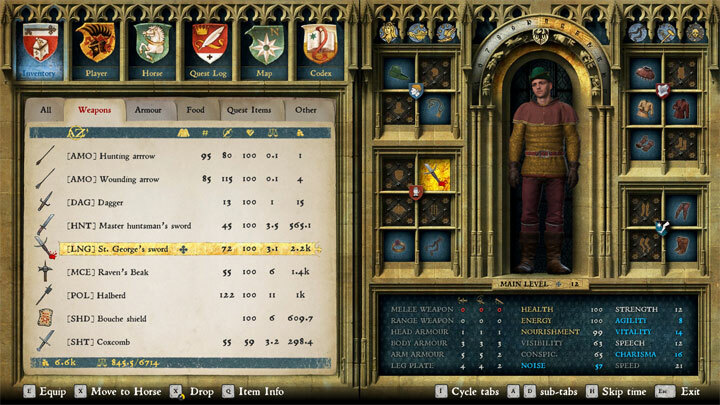 The file Inventory Sorter v.1.2 is a modification for Kingdom Come: Deliverance, a(n) rpg game. Download for free. Inventory Sorter is a mod for Kingdcom Come: Deliverance, created by papirnehezek. This mod changes many item's name in the English version of KCD. Unfortunately the game does not have too many options when it comes to item sorting. If you are a hoarder like me who likes to collect all kind of stuff then you might be looking for a simple mod that renames items so you can find an item you are looking for easier. This one file basically changes the English localization's item names but does not touch anything else. Please, if you use this mod and find grammar errors or item names that does not make sense or have not been changed yet, write in the posts section so I can update the file. Thank You! As I was unable to make this file work packed you will have to replace the original "text_ui_items.xml" file in the "%gamedirectory%/Localization/english_xml.pak" archive. You can simply open the archive with 7zip or winzip for example then just drag my xml into it and replace the original. Obviously, you should do a backup of the original file first, so you do not have to re-validate through steam or gog if you want to undo the changes. Only one file was changed, an xml containing equipment names. No alteration to equipment stats were made, no additions either.